The impulsive young woman, her cowardly lover, and her vengeful husband form an unforgettable triangle, consigned to work out their destiny in the chilling atmosphere of seventeenth-century Puritan New England. Melding Nathaniel Hawthorne's rich psychological insight and his fascination with the past, this masterpiece of fiction is animated by his deep sympathetic involvement in his characters. So passionate and compelling is his portrayal of a courageous woman and the purgatory imposed upon her by a struggling colony that The Scarlet Letter remains to this day a great classic -- and an eternal current rebuke to all who would cast the first stone. Washington Square Press' Enriched Classics present the great works of world literature enhanced for the contemporary reader. 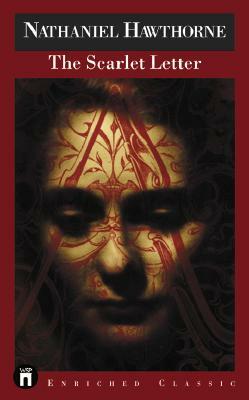 This edition of The Scarlet Letter has been prepared by Dr. Monika Elbert of Montclair State University. It includes her introduction, Nathaniel Hawthorne's notes, a selection of critical excerpts, and a unique visual essay of period illustrations and photographs.